Revelation 5 records a vision of the apostle John where a search is made to find someone worthy to open a book sealed with seven seals and held by God, who sits on his throne surrounded by 24 elders and 4 living creatures. In this vision John sees a "Lamb as it had been slain, having seven horns and seven eyes, which are the seven Spirits of God sent forth into all the earth" (v. 6). 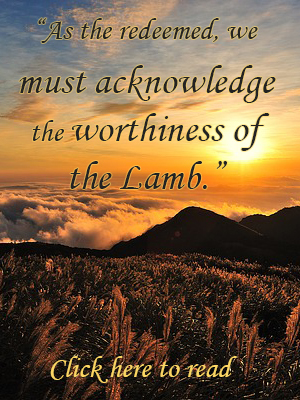 The Lamb was worthy to take this book, and when He did take this book the elders and creatures proclaimed in song, "Thou art worthy to take the book!" Click here to read Rev. James Slopsema's study of this portion of scripture and how it manifests an important calling to those for whom the Lamb was slain. You are invited to a free public lecture! The Reformed Witness Committee of Hope PRC is hosting a lecture by Prof. David Engelsma entitled "The Necessity of Membership in a True Church of Jesus Christ." The lecture is on April 22, 2016 at First Jenison Christian Reformed Church. Please see our website for more information. We hope to see you there! Click here for more information. 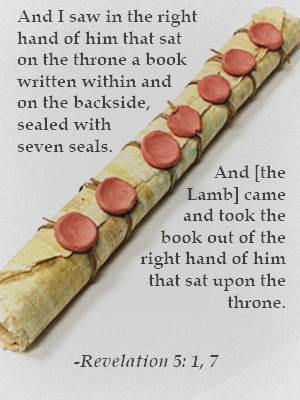 Revelation 5 describes a book that is bound with seven seals and held by Almighty God. This book represents the whole counsel of God, the eternal determination of God for all things. What can we know about this year, 2016, a page in the book? The chapter also reveals our Savior's relation to the unfolding of history. What place does our Savior have in this year? Click here to listen to Rev. David Overway explain this vision of John in Revelation and the real importance that this text holds for us as New Testament saints. 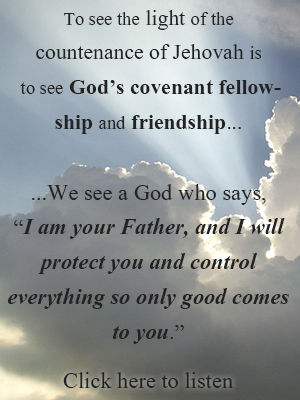 We are assured by our God that He has all things under His control. In the text above, He assures us that He will fulfill every word of His promises to us. The powerful Antichrist, that is soon coming, will not keep us from anything that God has promised us. We have the assurance that all things do work together for our good. Click here to read the late Rev. John Heys' study on this text from Isaiah that gives us comfort in an increasingly evil world. Do you lose sleep over the troubles of life? Do you sometimes find it difficult to fall asleep peacefully due to the anxieties of the day? The child of God has many enemies and troubles. Satan, the world of the ungodly, economic instability, sickness, loneliness, anxiety, his own destructive sinful nature, and much more are constantly afflicting him. But the child of God has peace and security. 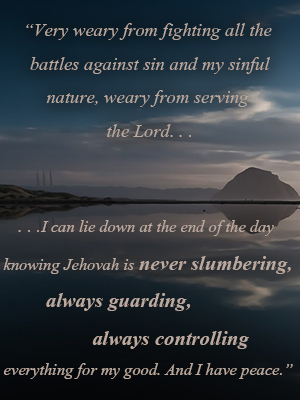 He has peace that allows him to confess with the Psalmist, "I will both lay me down in peace and sleep." How can this be? What is this security that allows him to end the day in peaceful sleep? Click here to listen to Rev. David Overway's instruction on a believer's peace. 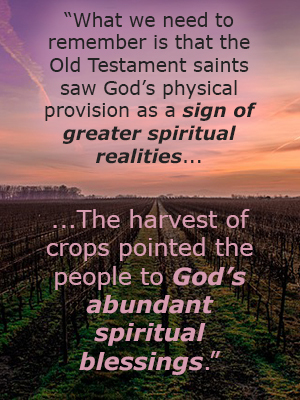 Thankfulness to God for His gifts is our obligation as children of God. Do we truly understand what it means to be thankful? What are we to be thankful for? How must we express our thankfulness to God? How thankful must we be? In this Thanksgiving Day message, Rev. Overway explains this important calling of which we must be continually mindful throughout the year. Click here to listen.